Dr Jane Rahedi Ong’ang’o is a Public Health Specialist with interest in Programme Implementation and Operational Research of interventions geared towards control of both communicable and non-communicable conditions. Currently she is a Senior Research Scientist at the Kenya Medical Research Institute focusing on a wide scope of Public Health Research. 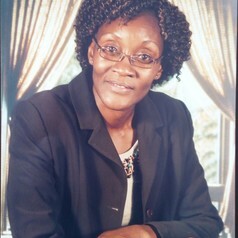 Previously she worked as a National Programme coordinator for CDC funded HIV/TB programmes in various parts of Kenya contracted by International Medical Corps (Kenya). In these programmes she was able to utilize community approaches to enhance scale up and use of HIV/TB services. She has been involved in implementation research and evaluation of various aspects of programme implementation. She closely works with the Ministry of Health in the National TB, Leprosy & Lung Disease Program. In the area of Research, she has been a Principal investigator of various population based surveys and has also served as a research team coordinator. In both her work areas of programme implementation and implementation research, she continues to play a role in capacity building of health workers. Dr Jane has keen interest in the area of program evaluation and reviews and has previously been involved in the review of Kenya National TB program and her areas of focus are in programmatic management and Research monitoring and evaluation. •	Masters Degree in Public Health- University of Nairobi (2001). Research Scientist, Centre for Respiratory Disease Research (CRDR). Main area of interest: TB/HIV and Public Health Research.